When it comes to warehouse heating systems, factory heating, office or retail heating, Thorpe Eco are the HVAC experts. 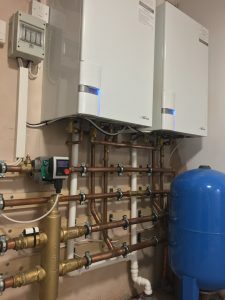 With over 40 combined years commercial heating installation experience, Thorpe Eco has established an enviable reputation for expert design, workmanship and fully qualified service support never leaving a building without heating or hot water for more than 24 hours. Using 40 years’ experience, Thorpe Eco will design a heating system to meet your buildings exact needs. It will be highly efficient, cost effective and provide years of reliable service. No matter how simple or complex the task our engineers will delight in sharing their years of knowledge, inspiring confidence that your heating solution is the right one. Thorpe Eco can guide its customers through applying for commercial grants and tax relief offered through the Carbon Trust.